Scientists hope to probe the moon's global ocean for signs of life. With everything we know about Saturn’s moon Enceladus, it has been said to be among the best shots we have at finding extraterrestrial life. Now, leading scientists are pushing for a mission to probe the moon in search of life. The group was gathered by planetary scientist Carolyn Porco – leader of the imaging team on NASA’s Cassini mission currently orbiting Saturn. 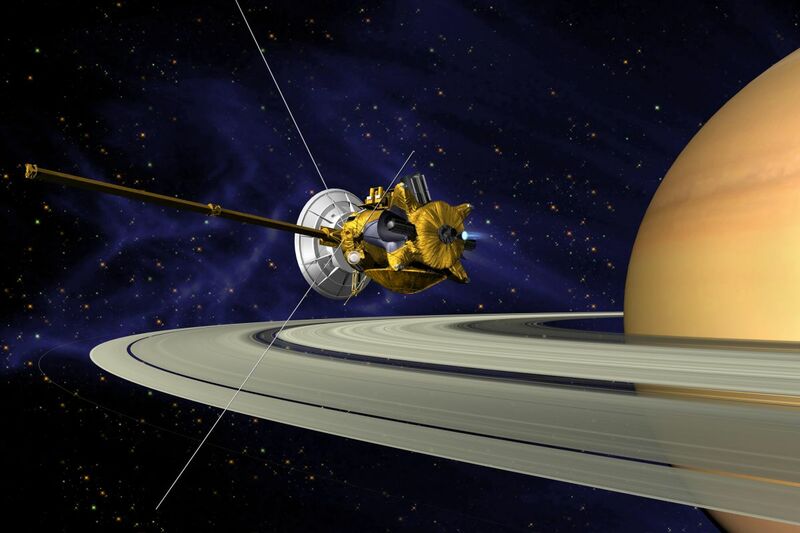 Cassini is winding down her voyage in 2017, and Porco wants the group’s findings to guide the next spacecraft mission to be sent to Enceladus. Enceladus is a tantalizingly habitable world: it has a subsurface global ocean, a heat source from friction with Saturn, and organic compounds – the building blocks for life. Enceladus’ global ocean sends up plumes of water vapor due to hydrothermal activity. It has 90 of these plumes, and the group wants to focus on these in the search for life. The upside for this is that the spacecraft would not need to land. Instead, it will just have to pass over the plumes and collect the samples. The downside is that such a pass could kill microbes in the water. Even faced with such odds, the prospect of discovering life so near to Earth is actually worth the struggle. Other than the great milestone of human evolution of finding life outside Earth, microbes in Enceladus could unlock previously unfathomable discoveries. Finding life nearby means that life could very well be prevalent around the Universe since it formed twice in the same Solar System. If the biochemistry is radically different, life could spring easily—by multiple means. If life on Earth is similar to any found in Enceladus, it is possible that we could even share extraterrestrial ancestors. Life in Space: Thinner Ice Shell May Mean Life on Enceladus?